In this tutorial, we will explain how you can connect Dialogflow to your Botsify Chatbot. Dialogflow integration helps your chatbot send responses you set up using Dialogflow. 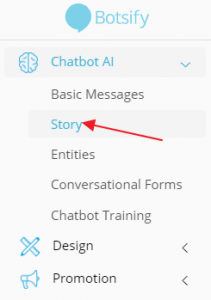 Go to the Chatbot AI and select Story from the left side menu. Now click on ‘Create a story’ or select an existing one to set up Dialogflow Plugin to that story. In the Bot sends block, click on the Plugin button. You will see the following window with multiple integrations, choose the Dialogflow icon from them. After selecting Dialogflow, a modal will appear. Click on Get Started Button. You can get the API Key, by going to Dialogflow, Sign in and in the side menu, you will see a gear icon click that. 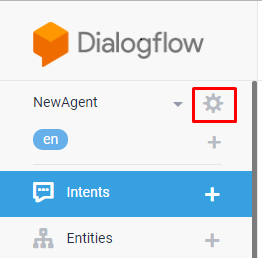 Now go to your Dialogflow account and select an existing ‘Agent’. Click on the setting icon parallel to the agent name. Or click ‘Create Agent’ to create a new one and get the API key that needs to be put in your Dialogflow authentication. Now scroll down to API Key and select ‘Client access token’. 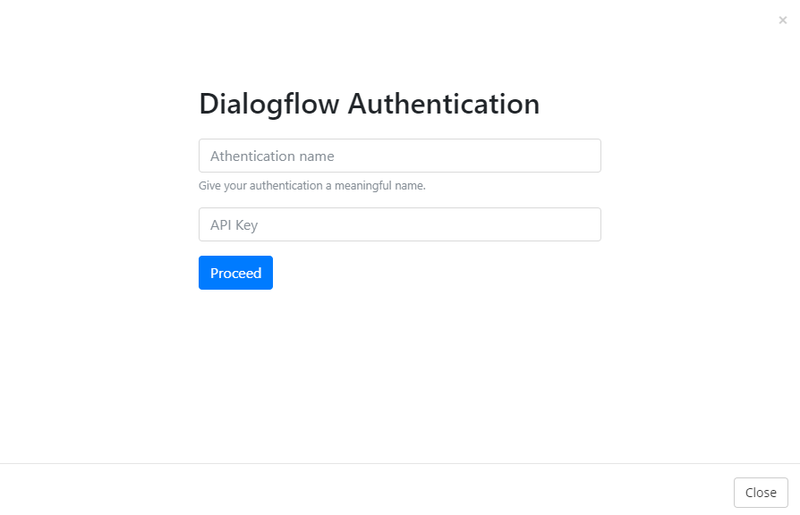 Copy the code and paste it on your dialogflow authentication modal. 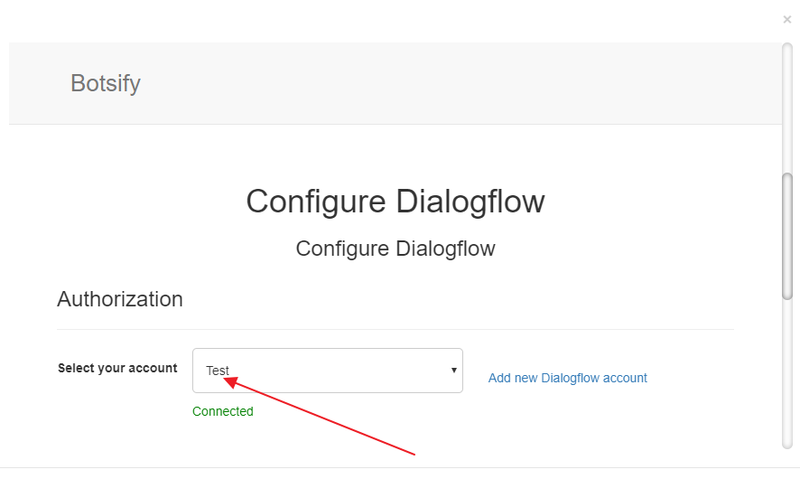 Now your dialogflow account is connected! 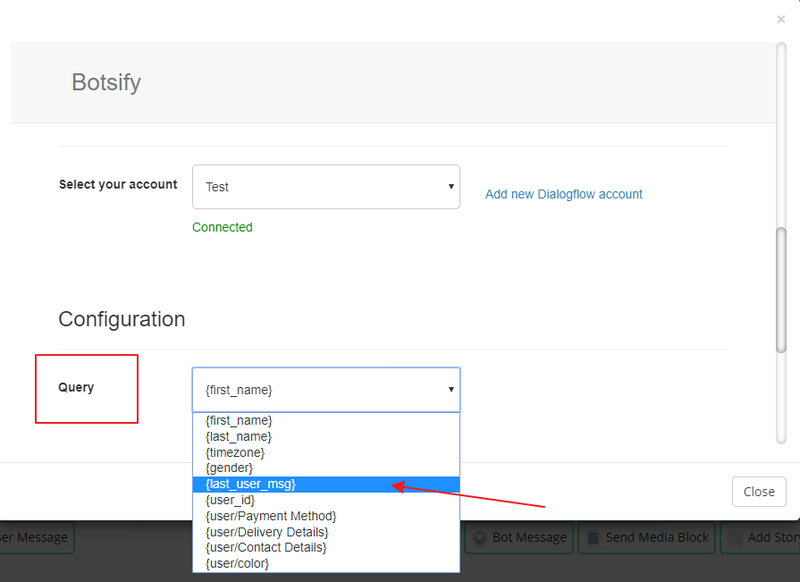 Now select last user message in the query so that every time a user sends the message your dialogflow integrated response will be sent to them. That’s it! Your Botsify chatbot is now integrated with Dialogflow. Let’s try sending a message to your chatbot user from Dialogflow. Copy your user message from Botsify story and paste it to ‘Training phrases’ in your Dialogflow intent. Now add a different response to check if your Dialogflow is working or not. For example, here my bot was responding with ‘Hello, we are here to assist you!’. So I will be adding a different response from my Dialogflow intent to check if it is working along with my Botsify story or not. Add an additional response for your chatbot. For that go to ‘Responses’ in your Dialogflow intent and add as many responses as you want. 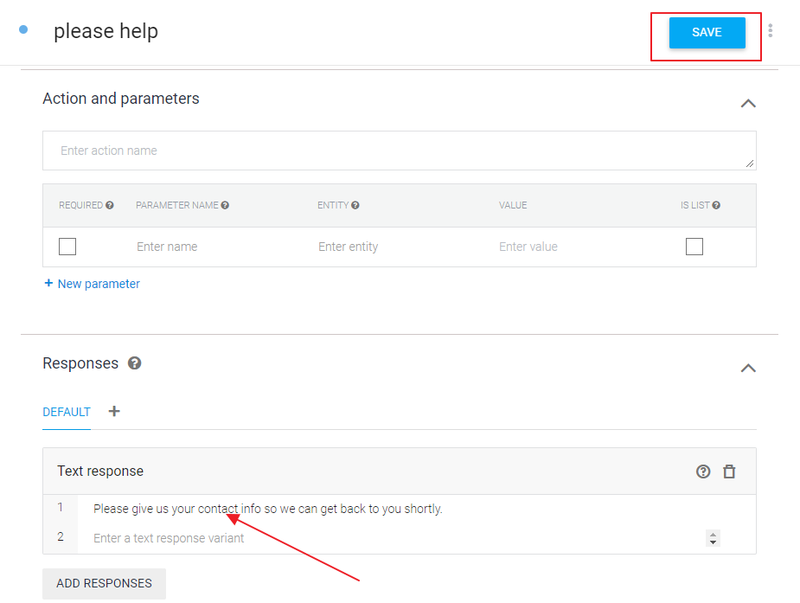 Type the user query to check if your Dialogflow responses are working. That's is! 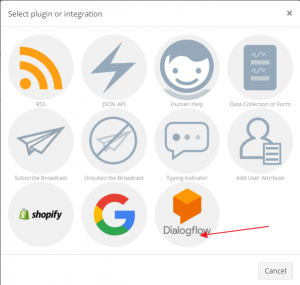 Your Dialogflow plugin has been setup.